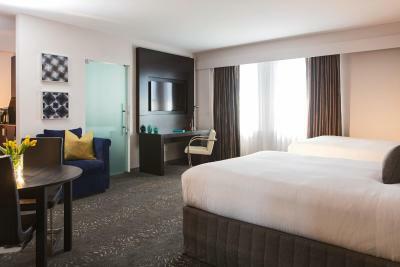 Lock in a great price for Kimpton Carlyle Hotel Dupont Circle – rated 8.7 by recent guests! The staff was very friendly and accommodating. Bottled water was readily available upon request at the desk. The multigrain toast and homemade breakfast sausage was very tasty. The strawberry shortcake was tremendous. The "Schlow Burger" and fries were very tasty. Everyone was courteous and friendly. Wayne converted an email to a word document, increaed text size and printed a Bible verse I was asked to read at my friend’s funeral. We had 7 rooms at the hotel and everyone was pleased! Beds were dreamy! We loved this Kimpton. The location was great. Lovely neighborhood for strolling and enjoying a calm urban atmosphere. The hotel and staff were excellent. The restaurant was fabulous...with exceptional service. Such a cool vibe. We especially enjoyed the 5 PM "Happy Hour" in the lounge where we met some really cool people. We WILL be back! EXTREMELY polite and helpful staff throughout the stay. breakfast was great and timely. dinner was superb although we didn't try dessert. Wine selection was excellent. The room was very nice and upscale. The staff also made sure we were well taken care of. Location, a few blocks from restaurants, bars, metro station. 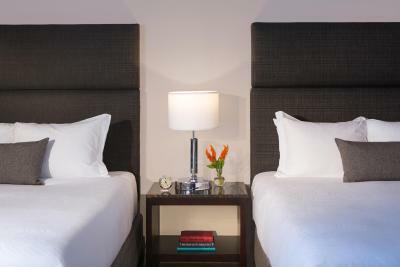 Kimpton Carlyle Hotel Dupont Circle This rating is a reflection of how the property compares to the industry standard when it comes to price, facilities and services available. It's based on a self-evaluation by the property. Use this rating to help choose your stay! Just 5 minutes' walk from Dupont Circle and the Dupont Circle Metro Station, Kimpton Carlyle Hotel Dupont Circle features an on-site restaurant and free WiFi. 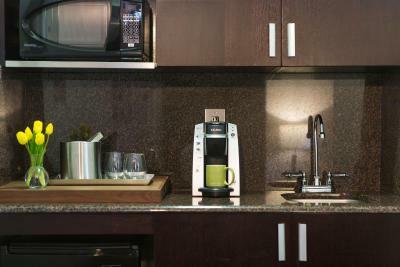 Many rooms offer a fully equipped kitchenette. A flat-screen TV with cable channels is provided in each room at the hotel. A work desk and ironing facilities are included as well. The private bathroom comes with a shower and a hairdryer. Guests at the hotel can enjoy complimentary coffee in the lobby each morning. A complimentary wine hour is held each evening. The Riggsby restaurant, located on site, offers upscale American cuisine with a European influence. Kimpton Carlyle is 5 minutes' drive from the White House, while the National Mall is just 1.6 mi away. The nearest Capital Bikeshare station, offering citywide bicycle rentals, is just 800 feet from the hotel. 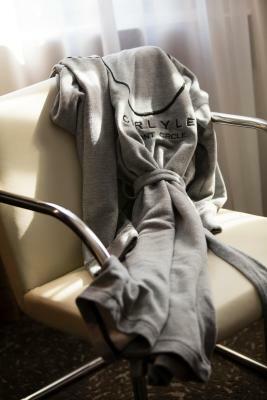 When would you like to stay at Kimpton Carlyle Hotel Dupont Circle? Public parking is available on site (reservation is not possible) and costs USD 48 per day. This room includes a flat-screen cable TV. This suite features a flat-screen TV and city views. Offering a flat-screen TV, this room features views of the city. Featuring views of the city, this room comes with a flat-screen TV and a view. This quadruple room features air conditioning, bathrobe and mini-bar. 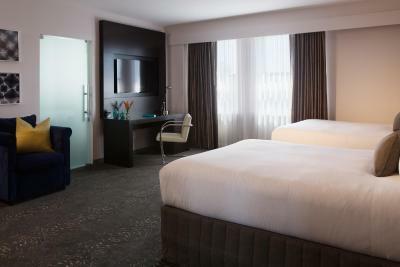 This double room features a cable TV, mini-bar and iPod dock. This double room has a flat-screen TV, bathrobe and iPod dock. 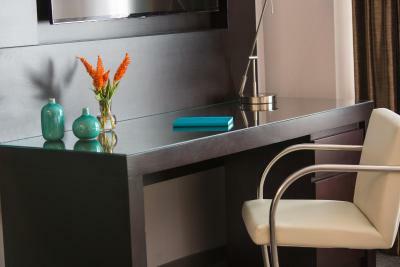 This double room features a iPod dock, seating area and mini-bar. Hotel surroundings – This neighborhood is a great choice for travelers interested in city walks, culture and walking – Check location Excellent location – show map Guests loved walking around the neighborhood! 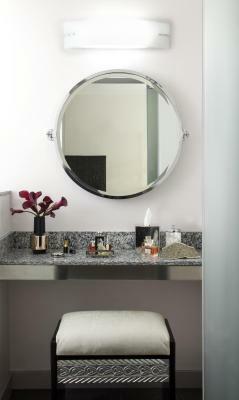 House Rules Kimpton Carlyle Hotel Dupont Circle takes special requests – add in the next step! All older children or adults are charged USD 20 per night when using existing beds. Kimpton Carlyle Hotel Dupont Circle accepts these cards and reserves the right to temporarily hold an amount prior to arrival. Please note: 'Breakfast included rates' provide breakfast vouchers for 2 guests. Additional fees apply to extra guests. 161 people are currently looking for a place in Washington, D.C.
Saturday morning I ordered room service for 7:15. I discovered that the restaurant didn’t open until 8:00. The room service form shouldn’t bfast when the restaurant isn’t open. The tariff actually charged was almost 30% higher than stated in the Booking.com which was confirmed by the website. I felt cheated. Has never happened before in my earlier reservations done through Booking.com. The remote control for the TV wasn't working well until staff came to replace the batteries. Water was available at the desk but didn't realize the first night and drank the large bottle next to the bed for ($7). We thought the restaurant was okay but over rated. One night we came in late about 8:30 sat near the bar and ordered a Schlow Burger. I think the waiter forgot to put the order in. It didn't come for an hour. He apologized and gave me a free beer but we were really starved. The pork selection was touted as a great meal but we didn't enjoy it at all. Too hot and spicy. Needed a beer to put out the fire in my mouth. We would have loved to hang up our towels to be green but no where to hang 3 wet towels and 2 wash clothes. Beautiful, chic property that is close to several locations when partying in DC. Rooms are clean and the bed offers a comfortable good nights sleep. Needed a dresser or chest of drawers for clothing. The staff was extraordinarily attentive. Lovely people. Parking was a bit pricey. while the fully stocked refrigerator was special, i was afraid to take anything out of it to put our own beverages in for fear of being charged. We had to make the most of the budget for our stay and it included some of our own snacks and beverages. I really liked the. Bed and sheets-very comfy! What was inconvenient was that the heating had already been switched off. I was informed about this and offered an extra blanket upon arrival and received it when I asked for it, but as the nights were still cold, it was quite chilly in the room. Nice, spacious, and clean room with a comfortable bed and big bathroom. Staff was very friendly. Nice, calm area near to the metro and in walking distance to the White House and the Memorials. We love the location, the staff, and the facilities at this hotel. It must be a company to work for because everyone seems very happy and enthusiastic. The restaurant in the hotel is excellent - old school service with creative and delicious food.